Workshops: "Creative Agroforestry for food-producing home, farm, and community landscapes"
Agroforestry landscapes are models of productive, low input systems that have sustained people for centuries in Hawai'i. 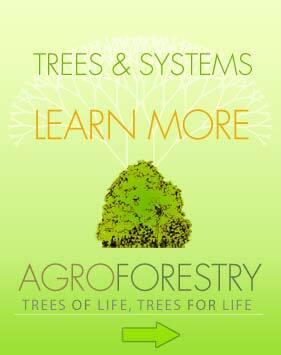 Farmers, homeowners, and communities are rediscovering the many benefits of agroforestry. This workshop offers participants an introduction to best practices in establishing and maintaining a working agroforestry landscape tailored to their needs. Presentations combine traditional, modern, and local knowledge to enable participants to get started on their own systems, avoiding pitfalls. With a little knowledge and experience, the end result can be a landscape that provides high productivity, social & cultural values, and beauty, now and for generations to come. Join us for an interactive and lively learning experience! Farmers markets are a main driver of our local food economy. For many small producers, farmers markets are the perfect entry place for selling their extra produce and developing a product line for other retail or wholesale venues. Farmers markets are where consumers can connect face-to-face with producers, a connection we all know is integral to the nourishment of local food. Community Supported Agriculture (CSA) joins consumers directly with growers on a subscription or membership basis, another strong driver in our local food system.